Identical twin astronauts, one headed to space for a year and the other happily at home. Imagine just how excited health researchers are by the prospect of this situation which yes, is happening for real. 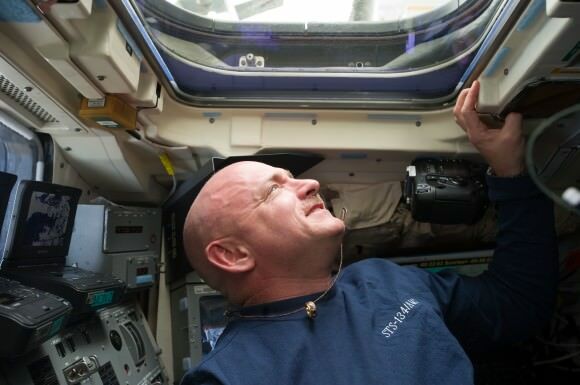 Scott Kelly is preparing to blast off on a lengthy mission to the International Space Station in 2015 while his retired twin, Mark, will serve as a control. The 50-year-old men will do a suite of experiments before, during and after the mission to see how much (if at all) Scott’s body changes from his brother in the long term. This ranges from examining their DNA, to their vision, and even changes in the gut. One experiment will examine telomeres, which NASA says are “molecular caps” that sit on the ends of human DNA. As the theory goes, these telomeres are affected in space by cosmic rays (high-energy particles originating from outside the solar system) — which could speed up the aging process. If Scott’s telomeres change after the mission, this could help determine if space is linked to rapid aging. Then there are experiments looking at gut bacteria that help digestion, seeking out how human vision changes, and even a phenomenon known as “space fog” — how some astronauts find themselves losing alertness in orbit. Although the twins have inherent fascination for researchers and sociologists, the Kellys themselves have emphasized that to them, having an identical counterpart is something that always was. “We didn’t know anything differently and, you know, he’s not my clone,” Scott said in a joint 2010 NASA interview with Mark.